A house fire is one of the worst things that can happen – in an instant, all those memories and keepsakes are damaged or gone and your family is left rebuilding from nothing. Now, this is the worst case scenario, but even a small house fire that didn’t do much damage can have a major impact on your family and your home. 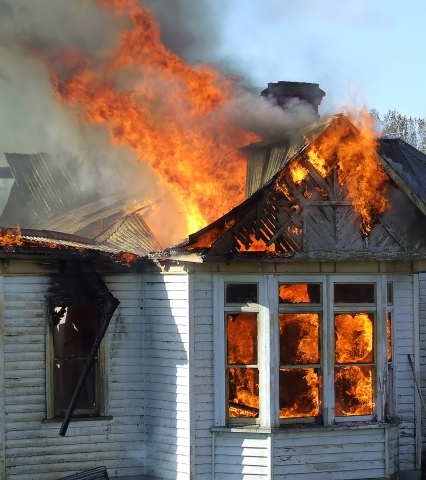 Instead of letting the panic overwhelm you, be prepared so you know how to handle a home fire. 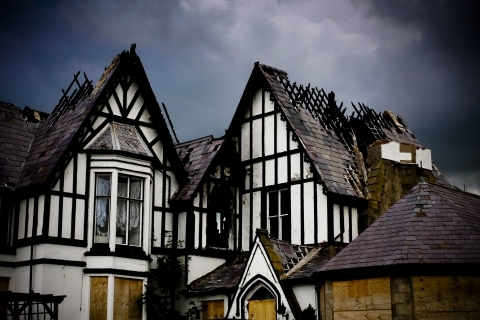 At ServiceMaster Absolute in Corona, we specialize in fire damage restoration so you can trust us to get your home back to livable condition quickly and safely! If you’ve had a house fire, patience is the last thing you want to practice. However, for your safety and that of your family, wait to enter your home until after you’ve been cleared to do so. Just because the fire is out, there may be more work the firefighters need to do, so take a few calming breaths and wait for the okay. Instead of pacing frantically while you wait to be allowed back in your home, start making calls. The first priority should be calling anyone in your immediate family who is not currently at the house. If your spouse has the kids elsewhere, let them know they should find something else to do. Adding stressed out children to the mix will only up the chaos. Your next step should be finding somewhere to stay, at least temporarily. Ask family or friends if they can house you while you get everything sorted out. If not, call hotels in the area and be sure they have available rooms before you bundle your family off. Next, you’ll want to call your insurance. The agent will walk you through all the information they’ll need to collect so they can begin working on your claim. It’s important to do this as soon as you can because often insurance will cover the cost for a hotel and help you with money upfront to replace necessities like clothing and toiletries. If you don’t own the home, you’ll need to contact your landlord. Renters Insurance is meant to cover your property, but your landlord will need to make a claim as well to cover the actual structure. Once your home is cleared by the fire department, you’ll need to secure it so no one can enter your home. The emergency services folks should be able to help you with this. After that, you’ll need to call a fire restoration company like ServiceMaster Absolute; you can clean up your home on your own, but fire restoration companies are the experts at dealing with smoke and fire damage and all the chemicals used to put out the fire. We hope this is a problem you and your family never face! However, if the worst does happen, call ServiceMaster Absolute to get begin the fire damage restoration process so we can get you back in your Corona home as soon as possible! ©2017 SM Absolute - Do not copy. All rights reserved.